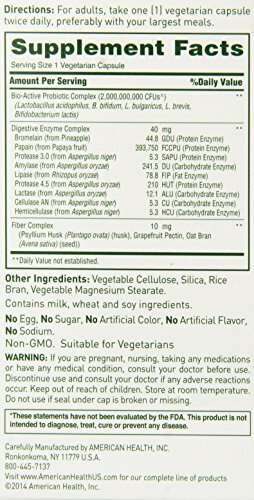 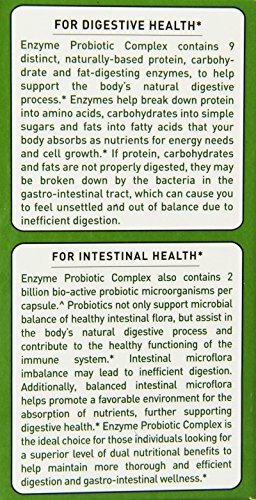 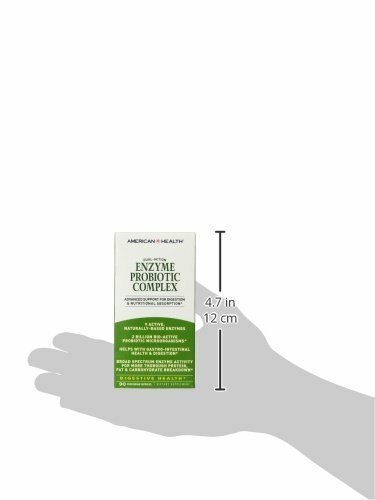 Enzyme Probiotic Complex is an advanced, dual-action formula delivering multi-level digestive and nutrient absorption benefits in both the stomach (enzymes) and intestinal tract (probiotics). 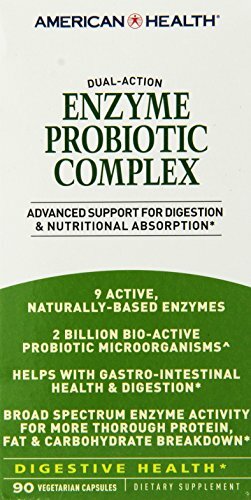 This complex is specially formulated to help support the body’s natural digestive process, delivering a broad spectrum of enzyme activity for more thorough protein, fat and carbohydrate breakdown. 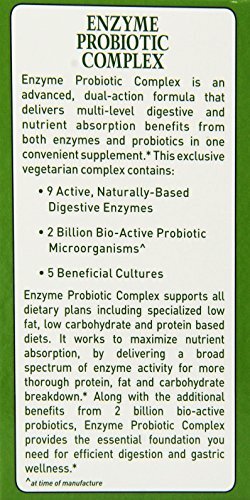 Enzyme Probiotic Complex provides the essential foundation you need for efficient digestion and gastric wellness.Advanced Dual-Action Formula & 9 Active, Naturally-Based Digestive Enzymes. 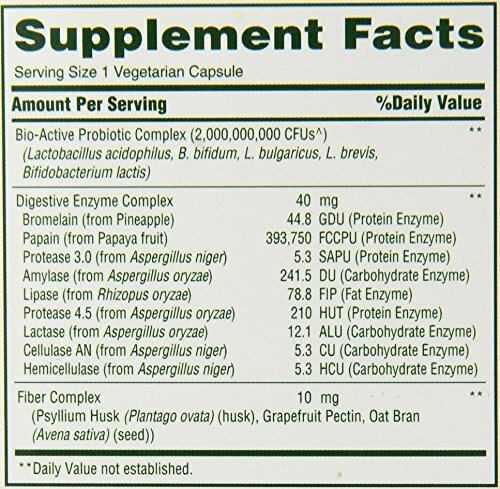 2 Billion Bio-Active Probiotic Microorganisms & 5 Beneficial Cultures .